Hello! I'm a sourdough loving bread maker!! 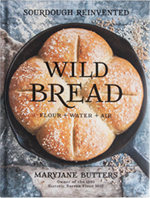 I don't have "Wild Bread" yet, but I hope to purchase it soon with my birthday money. I love having my sourdough, and everyone in my family loves my sourdough cinnamon bun recipe. Hi and welcome Joyce from northeast Texas. Hello Joyce! I for one would love to know your cinnamon bun recipe! 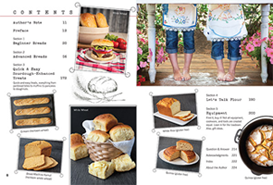 Please share your recipe. Welcome. You'll love the book. Sure! I'd love to share my recipe! I'm so glad to see that you're joining us Joyce. Welcome!